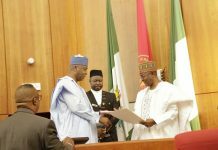 OrderPaperToday – To the delight of advocates of an open national assembly, the President of the Senate, Bukola Saraki, on Friday released ‘details’ of the 2018 budget of the National Assembly. 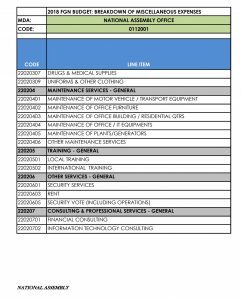 However, a closer look at the released document made public via Saraki’s official Twitter handle @bukolasaraki, is bound to elicit some disappointment because most important line items were completely excluded in the disclosure. 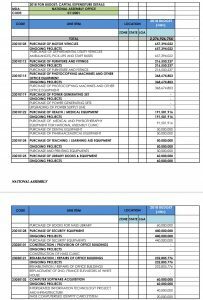 In the details released by Saraki, the total allocation for the parliament comprising both the Senate and House of Representatives, is given as N139, 500,000,000 with the breakdown as follows: total personnel cost N26, 483,039,299; total overhead 93,302,013,406; total recurrent 119,785,052,705; and total capital- 18,569,804,041. 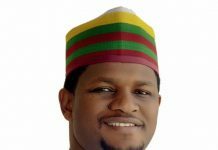 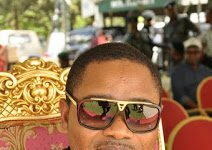 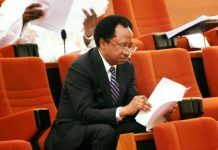 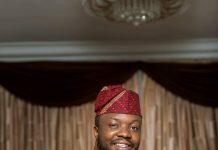 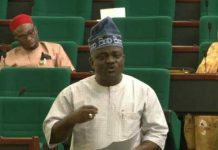 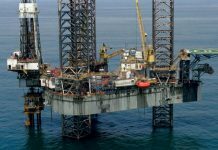 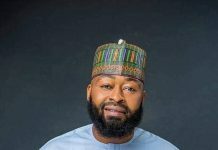 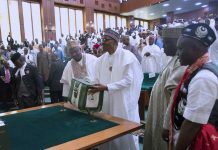 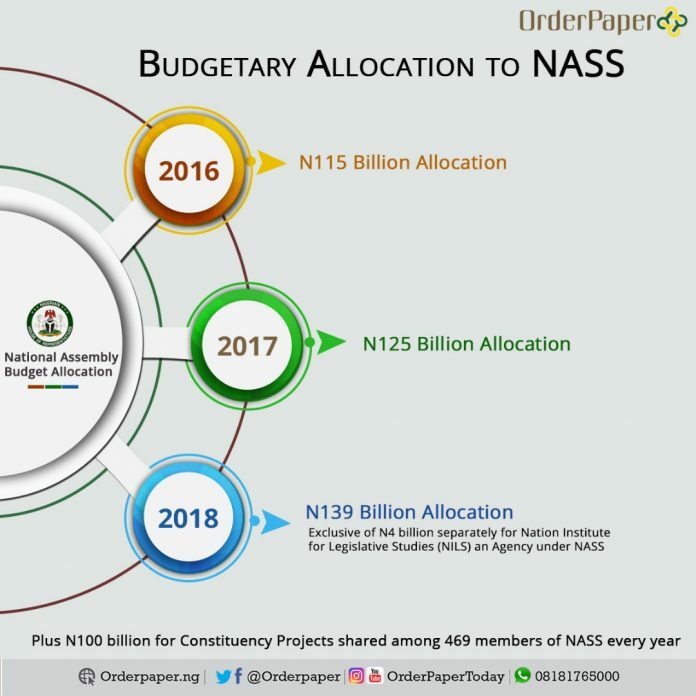 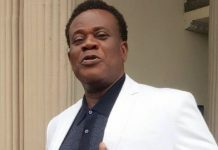 However, the finer budget details for all the line items and allocations to the Senate, House of Representatives, National Assembly Service Commission, PAC- Senate, PAC- House of Representatives, General Services and National Institute for Legislative Studies were completely blanked out. 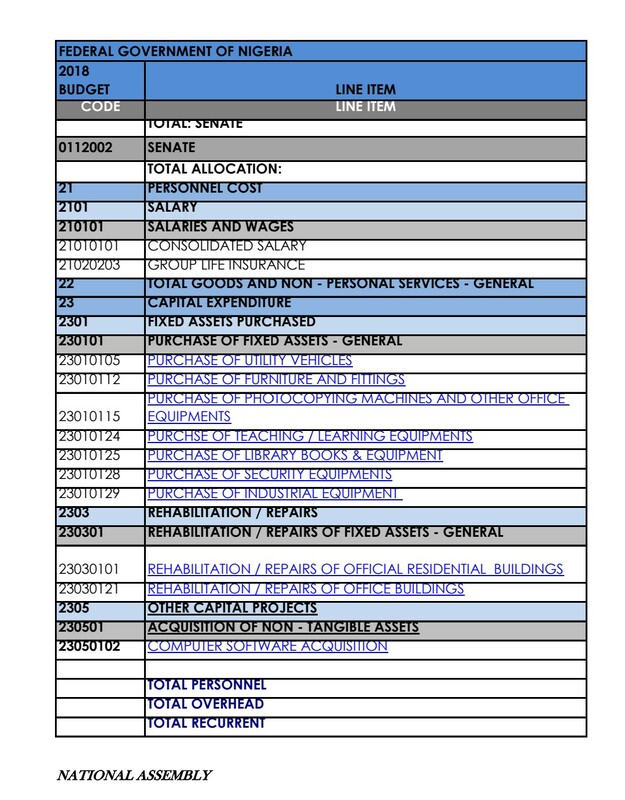 These are: Personnel cost, Salaries and wages, Consolidated salary, Group life insurance, Capital expenditure on purchases and repairs of fixed assets, Other capital projects, Overhead cost on travel and transport, Utilities (electricity, telephone, internet access charges and water rates), Material and supplies (Office stationery, books, newspapers, magazines, printing of non security documents, drugs and medical supplies, uniforms). 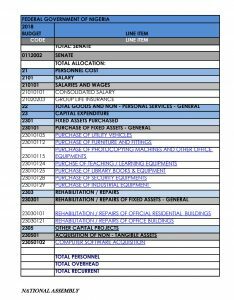 Others are: Maintenance services, Training, consulting and professional services, Fuel lubricants, Financial charges (bank charges and insurance premium), Miscellaneous (refreshments and meals, honorarium and sitting allowance, publicity and advertisements, medical expenses, welfare packages), Legislative activities (Public and Investigative hearings, Chamber, contingency, committee duties), Purchase of utility vehicles, Office furniture and equipment, Power generating set, Health teaching and security equipment, Library books, Repairs of office buildings, and Computer software acquisition. 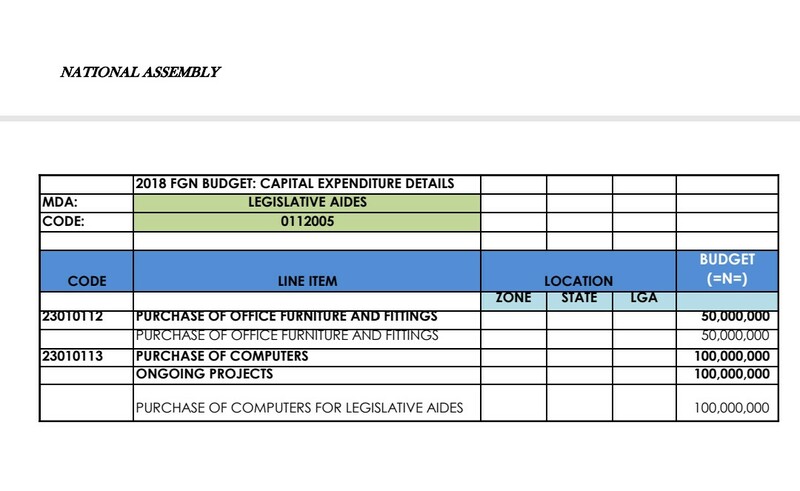 For the National Assembly Office, the following capital expenditure details were released: purchase of motor vehicles, furniture and fittings, photocopy machines and office equipment, power generating set, health teaching and security equipment, library books, repairs of office buildings and computer software acquisition. 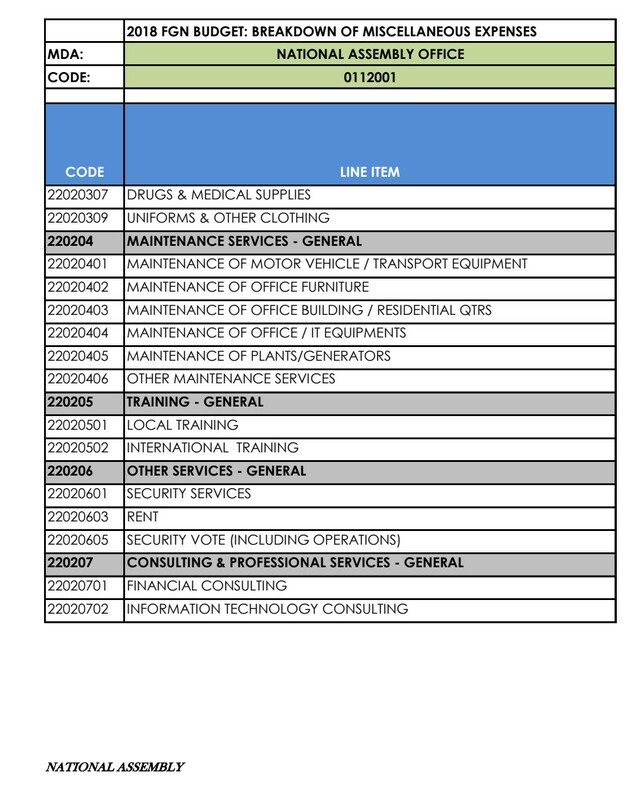 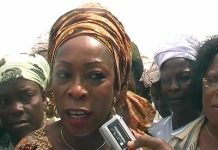 But details of the following for the office were missing: Salaries and wages, allowances, social contributions (NHIS and contributory pension), Total goods and non-personal services (transport and travel), Utilities, material supplies, maintenance services, training, consulting and professional services, Fuel and lubricants, Financial charges, Miscellaneous, Legislative activities, Contingency, Lagos liaison office, and Souvenir (for) international and important dignitaries. 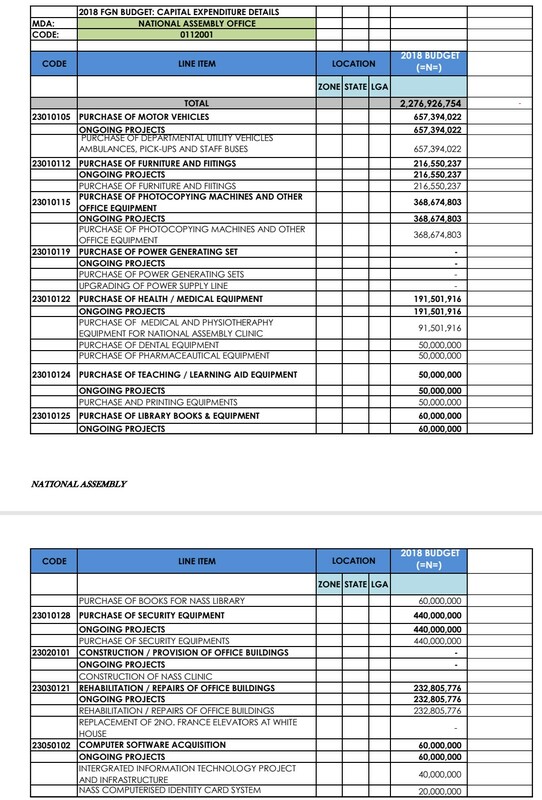 Also removed are allocations for General Services which includes international parliament conferences and bilateral meetings, National Assembly Budget and Research office activities, among others. 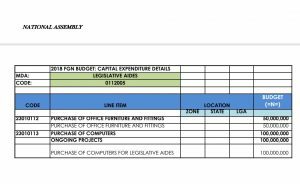 However, it appears the “accountability and transparency” quotient of the disclosure has raised more questions than answers.